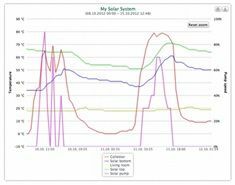 Monitoring a green energy program is both fun as well as provides useful data to ensure your system is running at peak performance. The remote monitoring systems are very easy to set up and can be used on any platform such as your smart phone, tablet or PC. The only requirement is that you have an internet connection. RESol Vbus.net for solar thermal heating. You can view a live monitoring site and watch a video to see how it works. 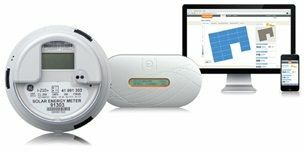 Enphase’s easy to install Enlighten Monitoring system for solar PV projects. Simply plug in to the wall and you’re ready to go!